Stunning Waterfront Home! 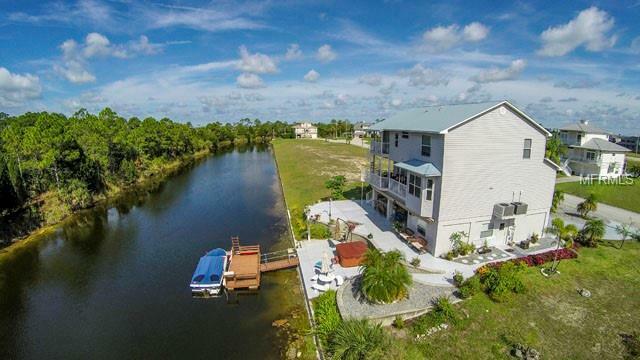 Picture yourself preparing a meal in your Summer Kitchen as you view canal and partial Gulf Sunsets to the West and nature where various bird and fish abound. Water view from all windows. Elevator to all 3 levels. Metal Roof; A/C 2015; Granite Counter tops; Maple Wood Cabinets; Stainless Steel Appliances, NEW Commercial Wood Laminate Flooring. Master Suite features french doors opening to a private balcony, HUGE walk in closet with private dressing area, dual sinks, and large snail shower. Lower level is completely enclosed and offers plenty of room for kayaks etc..and room for the cars. Summer Kitchen has Granite Counters w room for bar stools, Stone Work, Grill, Oven & Frig. Low cost flood insurance on file and wind mitigation report. Additional Water Information: Short trip through beautiful Hernando Beach Nature views to Boat Lift, one bridge to go under then out to the GULF of Mexico.